Meet Sarah Thomas, showroom manager and professional photographer, Torrco Design Center, East Windsor, CT.
After graduating from Bay Path College in Longmeadow, MA and having her first daughter, she thought teaching was what she would love to do. "But little did I know the plumbing industry was truly in my blood. My father told me the local supply house was hiring, the hours were perfect for a new mom, and I felt comfortable with the business having been around the supply house all my life.” So she started in the small showroom filled with sunlight-yellow tubs and sky-blue toilets. Fast-forward 14 years, she now manages a 1600-sq.-ft. and growing showroom and is proud to have earned multiple Top Sales Performance Awards. “Little did I know I would be involved in the sales of toilets, tubs and faucets, helping customers with the design of their bathrooms, and helping plumbers with the technical aspects of plumbing, pipes valves and fittings! “Having not only the design aspect, but also the first-hand technical knowledge of plumbing gives my clients the confidence to work with me. a wide range of projects from new homes to remodeling jobs. These can be anything from a simple faucet replacement to small half baths to full master bathrooms. at handling complex jobs. The most fun project she worked on was a new five-bathroom home with kitchen, bar and pantry. Oh, yes, and a bathroom for the horse! “The clients, a referral, had visited multiple showrooms, and at first were hesitant to come see me as I was more than two hours away. They travel a ton, so it was hard to figure out timing and when to communicate, but I ended up working closely with the general contractor to help the process. I was able to visit the home under construction, and of course there were a ton of e-mail exchanges. “I loved working with them, helping select products, and even after their hearts were set on some things, letting them know about other options and then having them trust me. by finding out what inspires you. “I try to focus on products that will give you what you are looking for, in terms of both style and what fits your budget. “By listening to your needs, I will help guide you to make the selection process smooth versus overwhelming. her clients she will be here for them if they ever have any questions or need anything. “Torrco Design Center has been in business for 98 years. It’s our job to make sure your visit with us is successful, and our number one priority is to ensure your experience with us is productive and valuable. you to realize that you have choices. not to assume products sold in a plumbing design showroom are the same as those sold in a big box store or online. “It is far from that. Often plumbers come in and say ‘so and so was in the showroom, but your prices were higher so they bought online. But they are missing the valves!’ Well, there’s a reason why our prices were higher. It’s because we included everything needed for the job. “I understand about being price conscious, but I also encourage consumers if they find a price 'cheaper' somewhere else to please let me know. There are usually reasons why things appear to be 'less' expensive. “Some people think a toilet is just a toilet, or a faucet is just a faucet. But once you see, touch and feel our products-- something you cannot typically do even at a big box store or online-- I promise our products will be different. the hardest thing for people who are remodeling or building a bathroom is visually anticipating what the finished space will look like. product selection, by working with your plumbers and/or builders to make sure the products you select will work on your project and that they understand how to install them. “It’s not just about what it looks like, but how it functions and making sure every component they need will be there so there are no surprises in the end. the Golden Era DXV Design Movement with its Fitzgerald, Keefe, Pop and Randall collections. “Its refined and thought-out styles aren’t too bold or ‘different.’ These are products I believe will be timeless. 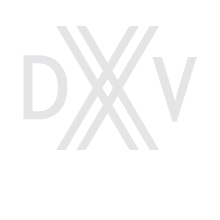 “I can’t wait to see what other styles and designs DXV comes out with. being with her family, watching her daughter dance, and her son play and entertain others. “I continue to learn from them daily. My husband is my biggest fan in life. He encourages me in so many ways. Even when I am out he mentions to others, ‘Sarah, can get you that toilet or faucet you are looking for or did you see the new spalet?’ This is what starts up a great conversation about DXV to others that have never heard about it!